Food security is a condition related to the supply of food, and individuals' access to it. Concerns over food security have existed throughout history. There is evidence of granaries being in use over 10,000 years ago, with central authorities in civilizations including ancient China and ancient Egypt being known to release food from storage in times of famine. At the 1974 World Food Conference the term "food security" was defined with an emphasis on supply. Food security, they said, is the "availability at all times of adequate world food supplies of basic foodstuffs to sustain a steady expansion of food consumption and to offset fluctuations in production and prices". Later definitions added demand and access issues to the definition. The final report of the 1996 World Food Summit states that food security "exists when all people, at all times, have physical and economic access to sufficient, safe and nutritious food to meet their dietary needs and food preferences for an active and healthy life". Household food security exists when all members, at all times, have access to enough food for an active, healthy life. Individuals who are food secure do not live in hunger or fear of starvation. Food insecurity, on the other hand, is a situation of "limited or uncertain availability of nutritionally adequate and safe foods or limited or uncertain ability to acquire acceptable foods in socially acceptable ways", according to the United States Department of Agriculture (USDA). Food security incorporates a measure of resilience to future disruption or unavailability of critical food supply due to various risk factors including droughts, shipping disruptions, fuel shortages, economic instability, and wars. In the years 2011-2013, an estimated 842 million people were suffering from chronic hunger. The Food and Agriculture Organization of the United Nations, or FAO, identified the four pillars of food security as availability, access, utilization, and stability. The United Nations (UN) recognized the Right to Food in the Declaration of Human Rights in 1948, and has since noted that it is vital for the enjoyment of all other rights. The 1996 World Summit on Food Security declared that "food should not be used as an instrument for political and economic pressure". According to the International Centre for Trade and Sustainable Development, failed agriculture market regulation and the lack of anti-dumping mechanisms cause much of the world's food scarcity and malnutrition. Household Dietary Diversity Scale (HDDS) - measures the number of different food groups consumed over a specific reference period (24hrs/48hrs/7days). Coping Strategies Index (CSI) - assesses household behaviours and rates them based on a set of varied established behaviours on how households cope with food shortages. The methodology for this research is base on collecting data on a single question: "What do you do when you do not have enough food, and do not have enough money to buy food?" The FAO, World Food Programme (WFP), and International Fund for Agricultural Development (IFAD) collaborate to produce The State of Food Insecurity in the World. The 2012 edition described improvements made by the FAO to the prevalence of undernourishment (PoU) indicator that is used to measure rates of food insecurity. New features include revised minimum dietary energy requirements for individual countries, updates to the world population data, and estimates of food losses in retail distribution for each country. Measurements that factor into the indicator include dietary energy supply, food production, food prices, food expenditures, and volatility of the food system. The stages of food insecurity range from food secure situations to full-scale famine. A new peer-reviewed journal of Food Security: The Science, Sociology and Economics of Food Production and Access to Food began publishing in 2009. Number of people affected by undernourishment, 2010–12 (by region, in millions). 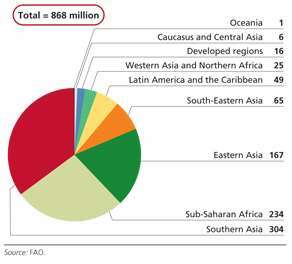 Data source: FAO. With its prevalence of undernourishment (PoU) indicator, the FAO reported that almost 870 million people were chronically undernourished in the years 2010-2012. This represents 12.5% of the global population, or 1 in 8 people. Higher rates occur in developing countries, where 852 million people (about 15% of the population) are chronically undernourished. The report noted that Asia and Latin America have achieved reductions in rates of undernourishment that put these regions on track for achieving the Millennium Development Goal of halving the prevalence of undernourishment by 2015. The UN noted that about 2 billion people do not consume a sufficient amount of vitamins and minerals. In India, the second-most populous country in the world, 30 million people have been added to the ranks of the hungry since the mid-1990s and 46% of children are underweight. In late 2007, export restrictions and panic buying, US dollar depreciation, increased farming for use in biofuels, world oil prices at more than $100 a barrel, global population growth, climate change, loss of agricultural land to residential and industrial development, and growing consumer demand in China and India are claimed to have pushed up the price of grain. However, the role of some of these factors is under debate. Some argue the role of biofuel has been overplayed as grain prices have come down to the levels of 2006. Nonetheless, food riots took place in many countries across the world in 2011. The United States Department of Agriculture defines food insecurity as "limited or uncertain availability of nutritionally adequate and safe foods or limited or uncertain ability to acquire acceptable foods in socially acceptable ways." National Food Security Surveys are the main survey tool used by the USDA to measure food security in the United States. Based on respondents' answers to survey questions, the household can be placed on a continuum of food security defined by the USDA. This continuum has four categories: high food security, marginal food security, low food security, and very low food security. Economic Research Service report number 155 (ERS-155) estimates that 14.5 percent (17.6 million) of US households were food insecure at some point in 2012. The prevalence of food insecurity has been relatively in the United States since the economic recession 2008. 49.0 million people lived in food-insecure households. 12.4 million adults lived in households with very low food security. 8.3 million children lived in food-insecure households in which children, along with adults, were food insecure. 977,000 children lived in households in which one or more child experienced very low food security. The government of the United States has taken up an initiative along with other local government agencies as well as global partners, the G8 countries, and donors to reduce global hunger and to improve food security conditions in the world. Exploiting the G8 Summit of 2009 held in L'Aquila, Italy, President Barack Obama encouraged global leaders to revert the three-decade old trend of reduced agricultural investments, and instead, choose to increase cash flow in their respective agricultural sectors in a drive to bolster global food security. This led to the birth of the "Feed the Future" program. Initially, the U.S had been successful in collecting over $18 billion in funds for the program from the G8 countries as well as other donors. The "Feed the Future" initiative is presently led by the U.S Agency for International Development and has the support of other government-funded bodies like the State Department, Peace Corps, Millennium Challenge Corporation, the Treasury Department, U.S. Trade Representative, Overseas Private Investment Corporation, the U.S. African Development Foundation, and the U.S Department of Agriculture. The target group of this initiative is the small holder farmers, especially women. Feed the Future has plans to help partner countries to develop their agricultural sector with an aim to improve their agricultural output. A spurt in economic growth would ultimately lead to higher income and help to eradicate hunger, and poverty, as well as under nutrition from the society. This initiative is expected to work on the basis of country-led priorities that call for consistent support by the governments, donor organizations, the private sector, and the civil society to accomplish its long-term goals. The World Summit on Food Security held in Rome in 1996, aimed to renew a global commitment to the fight against hunger. The Food and Agriculture Organization of the United Nations (FAO) called the summit in response to widespread under-nutrition and growing concern about the capacity of agriculture to meet future food needs. The conference produced two key documents, the Rome Declaration on World Food Security and the World Food Summit Plan of Action. The Rome Declaration calls for the members of the United Nations to work to halve the number of chronically undernourished people on the Earth by the year 2015. The Plan of Action sets a number of targets for government and non-governmental organizations for achieving food security, at the individual, household, national, regional and global levels. Another World Summit on Food Security took place in Rome between November 16 and 18, 2009. The decision to convene the summit was taken by the Council of FAO in June 2009, at the proposal of FAO Director-General Dr Jacques Diouf. Heads of State and Government attended the summit, which took place at the FAO's headquarters. The WHO states that there are three pillars that determine food security: food availability, food access, and food use. The FAO adds a fourth pillar: the stability of the first three dimensions of food security over time. In 2009, the World Summit on Food Security stated that the "four pillars of food security are availability, access, utilization, and stability". There are two distinct types of access to food: direct access, in which a household produces food using human and material resources, and economic access, in which a household purchases food produced elsewhere. Location can affect access to food and which type of access a family will rely on. The assets of a household, including income, land, products of labor, inheritances, and gifts can determine a household's access to food. However, the ability to access to sufficient food may not lead to the purchase of food over other materials and services. Demographics and education levels of members of the household as well as the gender of the household head determine the preferences of the household, which influences the type of food that are purchased. A household's access to enough and nutritious food may not assure adequate food intake of all household members, as intrahousehold food allocation may not sufficiently meet the requirements of each member of the household. The USDA adds that access to food must be available in socially acceptable ways, without, for example, resorting to emergency food supplies, scavenging, stealing, or other coping strategies. "Famine and hunger are both rooted in food insecurity. Chronic food insecurity translates into a high degree of vulnerability to famine and hunger; ensuring food security presupposes elimination of that vulnerability." Children with symptoms of low calorie and protein intake and a nurse attendant at a Nigerian orphanage in the late 1960s. Severe malnutrition in early childhood often leads to defects in cognitive development. 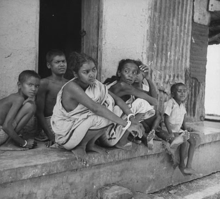 It therefore creates disparity among children who did not experience severe malnutrition and those who did. Extreme events, such as droughts and floods, are forecast to increase as climate change and global warming takes hold. Ranging from overnight floods to gradually worsening droughts, these will have a range of effects on the agricultural sector. By 2040, almost the entire Nile region, which once included large areas of irrigated agricultural land, is expected to become hot desert where cultivation is impossible due to water limitation. According to the Climate & Development Knowledge Network report Managing Climate Extremes and Disasters in the Agriculture Sectors: Lessons from the IPCC SREX Report, the effects will include changing productivity and livelihood patterns, economic losses, and effects on infrastructure, markets and food security. Food security in future will be linked to our ability to adapt agricultural systems to extreme events. For example, the Garifuna women in Honduras are helping to ensure food security locally by reviving and improving production of traditional root crops, building up traditional methods of soil conservation, carrying out training in organic composting and pesticide use and creating the first Garifuna farmers' market. Sixteen towns have worked together to establish tool and seed banks. Efforts to plant wild fruit trees along the coast are helping to prevent soil erosion. The aim is to reduce the communities' vulnerability to the hazards of shifting weather patterns. Another way of thinking about food security and climate change comes from Evan Fraser, a geographer working at the University of Guelph in Ontario Canada. His approach is to explore the vulnerability of food systems to climate change and he defines vulnerability to climate change as situations that occur when relatively minor environmental problems cause major effects on food security. Examples of this include the Irish Potato Famine, which was caused by a rainy year that created ideal conditions for the fungal blight to spread in potato fields, or the Ethiopian Famine in the early 1980s. Three factors stand out as common in such cases, and these three factors act as a diagnostic "tool kit" through which to identify cases where food security may be vulnerable to climate change. These factors are: (1) specialized agro-ecosystems; (2) households with very few livelihood options other than farming; (3) situations where formal institutions do not provide adequate safety nets to protect people. "The International Food Policy Research Institute (IFPRI) estimates that an additional US$ 7.1-7.3 billion per year are needed in agricultural investments to offset the negative effect of climate change on nutrition for children by 2050 (Table 6)." Diseases affecting livestock or crops can have devastating effects on food availability especially if there are no contingency plans in place. For example, Ug99, a lineage of wheat stem rust which can cause up to 100% crop losses, is present in wheat fields in several countries in Africa and the Middle East and is predicted to spread rapidly through these regions and possibly further afield, potentially causing a wheat production disaster that would affect food security worldwide. Nobel Prize winning economist Amartya Sen has observed that "there is no such thing as an apolitical food problem." While drought and other naturally occurring events may trigger famine conditions, it is government action or inaction that determines its severity, and often even whether or not a famine will occur. The 20th century is full of examples of governments undermining the food security of their own nations – sometimes intentionally. When governments come to power by force or rigged elections, and not by way of fair and open elections, their base of support is often narrow and built upon cronyism and patronage. Under such conditions "The distribution of food within a country is a political issue. Governments in most countries give priority to urban areas, since that is where the most influential and powerful families and enterprises are usually located. 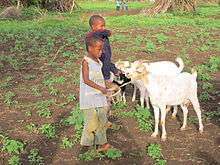 The government often neglects subsistence farmers and rural areas in general. The more remote and underdeveloped the area the less likely the government will be to effectively meet its needs. Many agrarian policies, especially the pricing of agricultural commodities, discriminate against rural areas. Governments often keep prices of basic grains at such artificially low levels that subsistence producers cannot accumulate enough capital to make investments to improve their production. Thus, they are effectively prevented from getting out of their precarious situation." Further dictators and warlords have used food as a political weapon, rewarding their supporters while denying food supplies to areas that oppose their rule. Under such conditions food becomes a currency with which to buy support and famine becomes an effective weapon to be used against the opposition. Governments with strong tendencies towards kleptocracy can undermine food security even when harvests are good. When government monopolizes trade, farmers may find that they are free to grow cash crops for export, but under penalty of law only able to sell their crops to government buyers at prices far below the world market price. The government then is free to sell their crop on the world market at full price, pocketing the difference. This creates an artificial "poverty trap" from which even the most hard working and motivated farmers may not escape. When the rule of law is absent, or private property is non-existent, farmers have little incentive to improve their productivity. If a farm becomes noticeably more productive than neighboring farms, it may become the target of individuals well connected to the government. Rather than risk being noticed and possibly losing their land, farmers may be content with the perceived safety of mediocrity. As pointed out by William Bernstein in his book The Birth of Plenty: "Individuals without property are susceptible to starvation, and it is much easier to bend the fearful and hungry to the will of the state. If a [farmer's] property can be arbitrarily threatened by the state, that power will inevitably be employed to intimidate those with divergent political and religious opinions." While agricultural output increased as a result of the Green Revolution, the energy input into the process (that is, the energy that must be expended to produce a crop) has also increased at a greater rate, so that the ratio of crops produced to energy input has decreased over time. Green Revolution techniques also heavily rely on chemical fertilizers, pesticides and herbicides, some of which must be developed from fossil fuels, making agriculture increasingly reliant on petroleum products. David Pimentel, professor of ecology and agriculture at Cornell University, and Mario Giampietro, senior researcher at the National Research Institute on Food and Nutrition (INRAN), place in their study Food, Land, Population and the U.S. Economy the maximum U.S. population for a sustainable economy at 200 million. To achieve a sustainable economy and avert disaster, the United States must reduce its population by at least one-third, and world population will have to be reduced by two-thirds, says the study. Since 1961, human diets across the world have become more diverse in the consumption of major commodity staple crops, with a corollary decline in consumption of local or regionally important crops, and thus have become more homogeneous globally. The differences between the foods eaten in different countries were reduced by 68% between 1961 and 2009. The modern "global standard" diet contains an increasingly large percentage of a relatively small number of major staple commodity crops, which have increased substantially in the share of the total food energy (calories), protein, fat, and food weight that they provide to the world's human population, including wheat, rice, sugar, maize, soybean (by +284%), palm oil (by +173%), and sunflower (by +246%). Whereas nations used to consume greater proportions of locally or regionally important crops, wheat has become a staple in over 97% of countries, with the other global staples showing similar dominance worldwide. Other crops have declined sharply over the same period, including rye, yam, sweet potato (by -45%), cassava (by -38%), coconut, sorghum (by -52%) and millets (by -45%). Such crop diversity change in the human diet is associated with mixed effects on food security, improving under-nutrition in some regions but contributing to the diet-related diseases caused by over-consumption of macronutrients. China needs not less than 120 million hectares of arable land for its food security. China has recently reported a surplus of 15 million hectares. On the other side of the coin, some 4 million hectares of conversion to urban use and 3 million hectares of contaminated land have been reported as well. Furthermore, a survey found that 2.5% of China's arable land is too contaminated to grow food without harm. In Europe, the conversion of agricultural soil implied a net loss of potential. But the rapid loss in the area of arable soils appears to be economically meaningless because EU is perceived to be dependent on internal food supply anymore. During the period 2000-2006 the European Union lost 0.27% of its cropland and 0.26% of its crop productive potential. The loss of agricultural land during the same time was the highest in the Netherlands, which lost 1.57% of its crop production potential within six years. The figures are quite alarming for Cyprus (0.84%), Ireland (0.77%) and Spain (0.49%) as well. In Italy, in the Emilia-Romagna plain (ERP), the conversion of 15,000 ha of agricultural soil (period 2003-2008) implied a net loss of 109,000 Mg per year of wheat, which accounts for the calories needed by 14% of ERP population (425,000 people). Such a loss in wheat production is just 0.02% of gross domestic product (GDP) of the Emilia-Romagna region which is actually a minor effect in financial terms. Additionally, the income from the new land use is often much higher than the one guaranteed by agriculture, as in the case of urbanisation or extraction of raw materials. As anthropogenic greenhouse gas emissions reduce the stability of the global climate, abrupt climate change could become more intense. The impact of an asteroid or comet larger than about 1 km diameter has the potential to block the sun globally, causing impact winter. Particles in the troposphere would quickly rain out, but particles in the stratosphere, especially sulfate, could remain there for years. Similarly, a supervolcanic eruption would reduce the potential of agricultural production from solar photosynthesis, causing volcanic winter. The Toba super volcanic eruption approximately 70,000 years ago may have nearly caused the extinction of humans (see Toba catastrophe theory). Again, primarily sulfate particles could block the sun for years. Solar blocking is not limited to natural causes as nuclear winter is also possible, which refers to the scenario involving widespread nuclear war and burning of cities that release soot into the stratosphere that would stay there for about 10 years. The high stratospheric temperatures produced by soot absorbing solar radiation would create near-global ozone hole conditions even for a regional nuclear conflict. A Kenyan woman farmer at work in the Mount Kenya region. Gender inequality both leads to and is a result of food insecurity. According to estimates women and girls make up 60% of the world's chronically hungry and little progress has been made in ensuring the equal right to food for women enshrined in the Convention on the Elimination of All Forms of Discrimination against Women. Women face discrimination both in education and employment opportunities and within the household, where their bargaining power is lower. On the other hand, gender equality is described as instrumental to ending malnutrition and hunger. Women tend to be responsible for food preparation and childcare within the family and are more likely to spend their income on food and their children's needs. Women also play an important role in food production, processing, distribution and marketing. They often work as unpaid family workers, are involved in subsistence farming and represent about 43% of the agricultural labor force in developing countries, varying from 20% in Latin America to 50% in Eastern and Southeastern Asia and Sub-Saharan Africa. However, women face discrimination in access to land, credit, technologies, finance and other services. Empirical studies suggest that if women had the same access to productive resources as men, women could boost their yields by 20–30%; raising the overall agricultural output in developing countries by 2.5 to 4%. While those are rough estimates, the significant benefit of closing the gender gap on agricultural productivity cannot be denied. The gendered aspects of food security are visible along the four pillars of food security: availability, access, utilization and stability, as defined by the Food and Agriculture Organization. A study published in June 2016 evaluated the status of the implementation of Golden Rice, which was first developed in the 1990s to produce higher levels of Vitamin A than its non-GMO counterparts. This strain of rice was designed so that malnourished women and children in third world countries who were more susceptible to deficiencies could easily improve their Vitamin A intake levels and prevent blindness, which is a common result. Golden Rice production was centralized to the Philippines, yet there have been many hurdles to jump in order to get production moving. The study showed that the project is far behind schedule and is not living up to its expectations. Although research on Golden Rice still continues, the country has moved forward with other non-GMO initiatives to address the Vitamin A deficiency problem which is so prevasive in that region. One of the biggest threats to rice, which is a staple food crop especially in India and other countries within Asia, is blast disease which is a fungal infection that causes lesions to form on all parts of the plant. A genetically engineered strain of rice has been developed so that it is resistant to blast, greatly improving the crop yield of farmers and allowing rice to be more accessible to everyone. Some other crops have been modified such that they produce higher yields per plant or that they require less land for growing. The latter can be helpful in extreme climates with little arable land and also decreases deforestation, as fewer trees need to be cut down in order to make room for crop fields. Others yet have been altered such that they do not require the use of insecticides or fungicides. This addresses various health concerns associated with such pesticides and can also work to improve biodiversity within the area in which these crops are grown. moral obligation to stand up to the antiscience crowd and warn policy makers that global food insecurity will not disappear without this new technology and ignoring this reality global food insecurity would make future solutions all the more difficult to achieve. 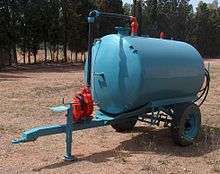 A liquid manure spreader, equipment that is used to increase agricultural productivity. The UN Millennium Development Goals are one of the initiatives aimed at achieving food security in the world. The first Millennium Development Goal states that the UN "is to eradicate extreme hunger and poverty" by 2015. Olivier De Schutter, the UN Special Rapporteur on the Right to Food, advocates for a multidimensional approach to food security challenges. This approach emphasizes the physical availability of food; the social,economic and physical access people have to food; and the nutrition, safety and cultural appropriateness or adequacy of food. Securing property rights and access to finance. Enhancing human capital through education and improved health. David Denkenberger and Joshua Pearce have proposed in Feeding Everyone No Matter What a variety of alternate foods which convert fossil fuels or biomass into food without sunlight to address sunlight-blocking food security scenarios. The solution using fossil fuel energy source is natural gas digesting bacteria. One example of a biomass alternate food is that mushrooms can grow directly on wood without sunlight. Another example is that cellulosic biofuel production typically already creates sugar as an intermediate product. The minimum annual global wheat storage is approximately 2 months. To counteract the severe food security issues caused by global catastrophic risks, years of food storage has been proposed. Though this could ameliorate smaller scale problems like regional conflict and drought, it would exacerbate current food insecurity by raising food prices. Crop insurance is purchased by agricultural producers to protect themselves against either the loss of their crops due to natural disasters. Two type of insurances are available: (1) claim-based insurances, and (2) index-based insurances. In particular in poor countries facing food security problems, index-based insurances offer some interesting advantages: 1) indices can be derived from globally available satellite images that correlate well with what is insured; (2) these indices can be delivered at low cost; and (3) the insurance products open up new markets that are not served by claim-based insurances. An advantage of index-based insurance is that it can potentially be delivered at lower cost. A significant barrier that hinders uptake of claim-based insurance is the high transaction cost for searching for prospective policyholders, negotiating and administering contracts, verifying losses and determining payouts. Index insurance eliminates the loss verification step, thereby mitigating a significant transaction cost. A second advantage of index-based insurance is that, because it pays an indemnity based on the reading of an index rather than individual losses, it eliminates much of the fraud, moral hazard and adverse selection, which are common in classical claim-based insurance. A further advantage of index insurance is that payments based on a standardized and indisputable index also allow for a fast indemnity payment. The indemnity payment could be automated, further reducing transaction costs. Basis risk is a major disadvantage of index-based insurance. It is the situation where an individual experiences a loss without receiving payment or vice versa. Basis risk is a direct result of the strength of the relation between the index that estimates the average loss by the insured group and the loss of insured assets by an individual. The weaker this relation the higher the basis risk. It is obvious that high basis risk undermines the willingness of potential clients to purchase insurance. It thus challenges insurance companies to design insurances such as to minimize basis risk. Bees and other pollinating insects are currently improving the food production of 2 billion small farmers worldwide, helping to ensure food security for the world’s population. Research shows that if pollination is managed well on small diverse farms, with all other factors being equal, crop yields can increase by a significant median of 24 percent. ↑ Trade Reforms and Food Security: Conceptualizing the Linkages. FAO, UN. 2003. 1 2 3 Food and Agriculture Organization (November 1996). "Rome Declaration on Food Security and World Food Summit Plan of Action". Retrieved 26 October 2013. 1 2 "Food Security in the United States: Measuring Household Food Security". USDA. Retrieved 2008-02-23. 1 2 3 4 FAO Agricultural and Development Economics Division (June 2006). "Food Security" (PDF) (2). Retrieved June 8, 2012. ↑ Gary Bickel; Mark Nord; Cristofer Price; William Hamilton; John Cook (2000). "Guide to Measuring Household Food Security" (PDF). USDA Food and Nutrition Service. Retrieved 1 November 2013. ↑ Boeing, G. (2016). "How Our Neighborhoods Lost Food, and How They Can Get It Back". Progressive Planning. 206 (Winter): 35–37. Retrieved 2016-10-12. 1 2 FAO (2009). Declaration of the World Food Summit on Food Security (PDF). Rome: Food and Agriculture Organization of the United Nations. ↑ Webb, P; Coates, J.; Frongillo, E. A.; Rogers, B. L.; Swindale, A.; Bilinsky, P. (2006). "Measuring household food insecurity: why it's so important and yet so difficult to do.". The Journal of Nutrition. 136 (5): 1404s–1408s. ↑ Perez-Escamilla, Rafael; Segall-Correa, Ana Maria (2008). "Food insecurity measurement and indicators". Revista de Nutrição. 21: 15–26. doi:10.1590/s1415-52732008000500003. Retrieved 31 July 2013. ↑ Barrett, C. B. (11 February 2010). "Measuring Food Insecurity". Science. 327 (5967): 825–828. doi:10.1126/science.1182768. 1 2 Swindale, A; Bilinsky, P. (2006). "Development of a universally applicable household food insecurity measurement tool: process, current status, and outstanding issues.". The Journal of Nutrition. 136 (5): 1449S–1452S. Retrieved 31 July 2013. ↑ Swindale, A. & Bilinsky, P. (2006). Household Dietary Diversity Score (HDDS) for measurement of household food access: Indicator guide (v.2). (PDF). Washington DC: Food and Nutrition Technical Assistance Project, Academy for Educational Development. ↑ Ballard, Terri; Coates, Jennifer; Swindale, Anne; Deitchler, Megan (2011). Household Hunger Scale: Indicator Definition and Measurement Guide (PDF). Washington DC: FANTA-2 Bridge, FHI 360. ↑ Maxwell, Daniel G. (1996). "Measuring food insecurity: the frequency and severity of "coping strategies"". Food Policy. 21 (3): 291–303. doi:10.1016/0306-9192(96)00005-X. ↑ Oldewage-Theron, Wilna H.; Dicks, Emsie G.; Napier, Carin E. (2006). "Poverty, household food insecurity and nutrition: Coping strategies in an informal settlement in the Vaal Triangle, South Africa". Public Health. 120 (9): 795–804. doi:10.1016/j.puhe.2006.02.009. ↑ Maxwell, Daniel; Caldwell, Richard; Langworthy, Mark (1 December 2008). "Measuring food insecurity: Can an indicator based on localized coping behaviors be used to compare across contexts?". Food Policy. 33 (6): 533–540. doi:10.1016/j.foodpol.2008.02.004. ↑ USDA, Food Security Measurement. "Archived copy". Archived from the original on 2011-01-07. Retrieved 2010-11-28. ↑ "Measuring Food Insecurity and Hunger: Phase 1 Report". Nap.edu. Retrieved 2011-03-16. 1 2 Ayalew, Melaku. "Food Security and Famine and Hunger" (PDF). Retrieved 21 October 2013. ↑ "Food Security: The Science, Sociology and Economics of Food Production and Access to Food". Springer.com. Retrieved November 13, 2011. ↑ "FAO" (PDF). Retrieved 2013-11-02. 1 2 UN (16 October 2013). "Sustainable food systems vital to end hunger, malnutrition, UN says on World Food Day". Retrieved 2 November 2013. ↑ "2008: The year of global food crisis". Sundayherald.com. March 8, 2008. Archived from the original on August 22, 2009. Retrieved November 13, 2011. ↑ "The global grain bubble". Csmonitor.com. January 18, 2008. Retrieved November 13, 2011. ↑ James Randerson, science correspondent (March 7, 2008). "Food crisis will take hold before climate change, warns chief scientist". The Guardian. UK. Retrieved November 13, 2011. ↑ John Vidal, environment editor (November 3, 2007). "Global food crisis looms as climate change and fuel shortages bite". The Guardian. UK. Retrieved November 13, 2011. ↑ Walsoft (February 22, 2008). "Experts: Global Food Shortages Could 'Continue for Decades'". Marketoracle.co.uk. Retrieved November 13, 2011. ↑ Moya K. Mason. "Has Urbanization Caused a Loss to Agricultural Land?". Moyak.com. Retrieved November 13, 2011. 1 2 Walt, Vivienne (February 27, 2008). "The World's Growing Food-Price Crisis". Time. Retrieved November 13, 2011. ↑ "The cost of food: Facts and figures". BBC News. October 16, 2008. Retrieved November 13, 2011. ↑ "Food Price Unrest Around the World, September 2007– April 2008". Earth-policy.org. Archived from the original on April 12, 2009. Retrieved November 13, 2011. ↑ Jonathan Watts in Beijing (December 5, 2007). "Riots and hunger feared as demand for grain sends food costs soaring". The Guardian. UK. Retrieved November 13, 2011. ↑ Julian Borger, diplomatic editor (February 26, 2008). "Feed the world? We are fighting a losing battle, UN admits". The Guardian. UK. Retrieved November 13, 2011. 1 2 "Food Security in the U.S.". Economic Research Service. Retrieved 15 December 2013. ↑ "Food Security Status of U.S. 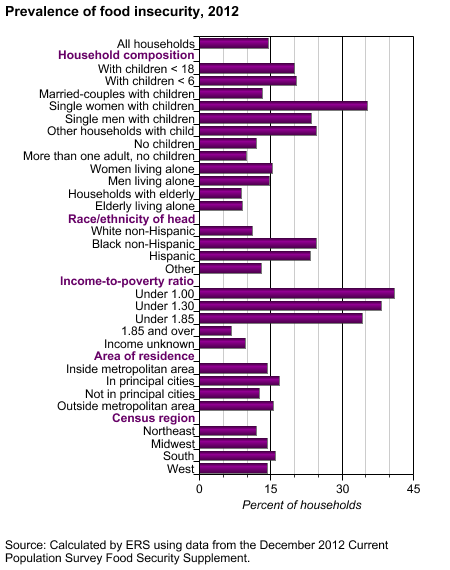 Households in 2012". USDA-ERS. 2013. Retrieved 16 December 2013. 1 2 Feed Archived August 20, 2013, at the Wayback Machine. the Future, Retrieved 20 June 2014. ↑ "World Food Summit: Basic Information". Fas.usda.gov. February 22, 2005. Retrieved 2011-03-16. ↑ WHO. "Food Security". Retrieved 15 October 2013. 1 2 3 4 5 6 Gregory, P. J.; Ingram, J. S. I.; Brklacich, M. (29 November 2005). "Climate change and food security". Philosophical Transactions of the Royal Society B: Biological Sciences. 360 (1463): 2139–2148. doi:10.1098/rstb.2005.1745. 1 2 3 4 5 6 7 8 9 10 11 12 FAO (1997). "The food system and factors affecting household food security and nutrition". Agriculture, food and nutrition for Africa: a resource book for teachers of agriculture. Rome: Agriculture and Consumer Protection Department. Retrieved 15 October 2013. 1 2 3 4 Godfray, H. C. J.; Beddington, J. R.; Crute, I. R.; Haddad, L.; Lawrence, D.; Muir, J. F.; Pretty, J.; Robinson, S.; Thomas, S. M.; Toulmin, C. (28 January 2010). "Food Security: The Challenge of Feeding 9 Billion People". Science. 327 (5967): 812–818. doi:10.1126/science.1185383. PMID 20110467. 1 2 3 4 5 6 7 Tweeten, Luther (1999). "The Economics of Global Food Security". Review of Agricultural Economics. 21 (2): 473–488. doi:10.2307/1349892. JSTOR 1349892. 1 2 3 4 5 6 7 8 9 Ecker and Breisinger (2012). The Food Security System (PDF). Washington, D.D. : International Food Policy Research Institute. pp. 1–14. 1 2 3 Garrett, J; Ruel, M (1999). Are Determinants of Rural and Urban Food Security and Nutritional Status Different? Some Insights from Mozambique (PDF). Washington, D.C.: International Food Policy Research Institute. Retrieved 15 October 2013. ↑ Loring, Philip A.; Gerlach, S. Craig (2009). "Food, Culture, and Human Health in Alaska: An Integrative Health Approach to Food Security". Environmental Science and Policy. 12 (4): 466–78. doi:10.1016/j.envsci.2008.10.006. ↑ Robert Fogel (2004). "chpt. 3". The Escape from Hunger and Premature Death, 1700-2100: Europe, America, and the Third World. Cambridge University Press. ISBN 0521004888. ↑ "Water Scarcity Crossing National Borders". Earth-policy.org. September 27, 2006. Archived from the original on July 8, 2009. Retrieved November 13, 2011. ↑ "India grows a grain crisis". Asia Times. July 21, 2006. Retrieved November 13, 2011. ↑ "Outgrowing the Earth". Globalenvision.org. November 23, 2005. Retrieved November 13, 2011. ↑ "The Food Bubble Economy". I-sis.org.uk. April 12, 2002. Retrieved November 13, 2011. ↑ Global Water Shortages May Lead to Food Shortages-Aquifer Depletion Archived copy at the Portuguese Web Archive (July 13, 2009).. Greatlakesdirectory.org. 1 2 "Conference on Water Scarcity in Africa: Issues and Challenges". Retrieved 18 March 2013. ↑ "Coping With Water Scarcity: Challenge of the 21st Century" (PDF). Retrieved 18 March 2013. ↑ Felicity Lawrence (September 15, 2010). "How Peru's wells are being sucked dry by British love of asparagus | Environment". The Guardian. UK. Retrieved 2011-03-16. 1 2 Lawrence, Felicity (September 15, 2010). "Big business clear winner in Peru's asparagus industry | Global development | guardian.co.uk". The Guardian. UK. Retrieved 2011-03-16. ↑ "The Earth Is Shrinking: Advancing Deserts and Rising Seas Squeezing Civilization". Earth-policy.org. Retrieved 2014-12-28. ↑ Ian Sample in science correspondent (August 30, 2007). "Global food crisis looms as climate change and population growth strip fertile land". The Guardian. UK. Retrieved November 13, 2011. ↑ "Africa may be able to feed only 25% of its population by 2025". News.mongabay.com. Archived from the original on November 27, 2011. Retrieved November 13, 2011. ↑ Strategic Foresight Group (March 2013). "Blue Peace for the Nile". ↑ Big melt threatens millions, says UN Archived February 19, 2008, at the Wayback Machine. ↑ english@peopledaily.com.cn (July 24, 2007). "Glaciers melting at alarming speed". People's Daily. Retrieved November 13, 2011. ↑ "Ganges, Indus may not survive: climatologists". Rediff.com. December 31, 2004. Retrieved November 13, 2011. ↑ Singh, Navin (November 10, 2004). "Himalaya glaciers melt unnoticed". BBC News. Retrieved November 13, 2011. ↑ "Glaciers Are Melting Faster Than Expected, UN Reports". ScienceDaily. March 17, 2008. Retrieved November 13, 2011. ↑ "Issues In Food Security" (PDF). Retrieved November 13, 2011. ↑ "Issues In Climate Change" (PDF). Retrieved November 13, 2011. ↑ Fraser, E. 2003. Social vulnerability and ecological fragility: building bridges between social and natural sciences using the Irish Potato Famine as a case study. Conservation Ecology 7:9: on line. 1 2 Fraser, E (2007b). "Travelling in antique lands: using past famines to develop an adaptability/resilience framework to identify food systems vulnerable to climate change". Climatic Change. 83: 495–514. doi:10.1007/s10584-007-9240-9. ↑ Robin McKie; Xan Rice (April 22, 2007). "Millions face famine as crop disease rages". The Guardian. UK. Retrieved November 13, 2011. 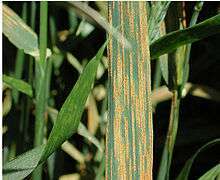 ↑ "Billions at risk from wheat super-blight". New Scientist Magazine (2598): 6–7. April 3, 2007. Retrieved 2007-04-19. ↑ Fred Cuny–Famine, Conflict, and Response: a Basic Guide; Kumarian Press, 1999. ↑ Eating Fossil Fuels. EnergyBulletin.net Archived June 11, 2007, at the Wayback Machine. ↑ The Oil Drum: Europe. "Meets Peak Oil". Europe.theoildrum.com. Retrieved November 13, 2011. 1 2 3 4 5 6 7 8 Kinver, Mark. "Crop diversity decline 'threatens food security'". BBC. Retrieved 13 June 2016. ↑ Fischetti, Mark. "Diets around the world are becoming more similar". Scientific American. p. 72. Retrieved 13 June 2016. ↑ Mekong nations to form rice price-fixing cartel Radio Australia, April 30, 2008 Archived August 24, 2008, at the Wayback Machine. ↑ Welcome to OREC – Rice for Life. Orecinternational.org (March 19, 2012). ↑ "Thailand drops idea for rice cartel". The New York Times. May 6, 2008. ↑ Kong, X. (2014). "China must protect high-quality arable land". Nature. 506 (7486): 7. doi:10.1038/506007a. ↑ Larson, C. (2014). "China gets serious about its pollutant-laden soil". Science. 343 (6178): 1415–1416. doi:10.1126/science.343.6178.1415. ↑ Tóth, G. (2012). "Impact of land-take on the land resource base for crop production in the European Union". Science of the Total Environment. 435–436: 202–214. doi:10.1016/j.scitotenv.2012.06.103. ↑ Malucelli, F.; Certini,G. ; Scalenghe, R. (2014). "Soil is brown gold in the Emilia-Romagna Region". Land Use Policy. 39: 350–357. doi:10.1016/j.landusepol.2014.01.019. ↑ Solomon, S., Qin, D., Manning, M., Chen, Z., Marquis, M., Averyt, K. B., Tignor, M. & Miller, H. L. 2007 "Summary for policymakers." Report of Working Group I of the Intergovernmental Panel on Climate Change, 1–18. ↑ Alley, R. B.; et al. (2003). "Abrupt climate change". Sci. 299: 2005–2010. doi:10.1126/science.1081056. PMID 12663908. 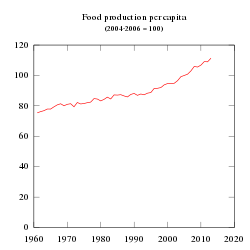 ↑ Robock, A.; Oman, L.; Stenchikov, G. L. (2007). "Nuclear winter revisited with a modern climate model and current nuclear arsenals: Still catastrophic consequences". J. Geophys. Res. Atmos. 112: 1984–2012. ↑ Mills, M. J.; Toon, O. B.; Turco, R. P.; Kinnison, D. E.; Garcia, R. R. (2008). "Massive global ozone loss predicted following regional nuclear conflict". Proc. Natl. Acad. Sci. USA. 105: 5307–5312. doi:10.1073/pnas.0710058105. PMC 2291128 . PMID 18391218. ↑ UNICEF UK News:: News item:: The tragic consequences of climate change for the world's children:: April 29, 2008 00:00 Archived January 22, 2009, at the Wayback Machine. ↑ Kimbro, Rachel T.; Denney, Justin T.; Panchang, Sarita (2012). "Individual, Family and Neighborhood Characteristics and Children's Food Insecurity". Journal of Applied Research on Children. 3. ↑ , World Food Programme Gender Policy Report. Rome, 2009. ↑ Spieldoch, Alexandra (2011). "The Right to Food, Gender Equality and Economic Policy". Center for Women's Global Leadership (CWGL). ↑ FAO, ADB (2013). Gender Equality and Food Security - Women's Empowerment as a Tool against Hunger (PDF). Mandaluyong City, Philippines: ADB. ISBN 978-92-9254-172-9. ↑ FAO (2011). The state of food and agriculture women in agriculture : closing the gender gap for development (PDF) (2010-11 ed.). Rome: FAO. ISBN 978-92-5-106768-0. ↑ FAO (2006). "Food Security" (PDF). Policy Brief. 1 2 3 4 5 6 7 8 "Gender and food security". ↑ Altieri, Miguel A.; Rosset, Peter (1999). "Ten Reasons Why Biotechnology Will Not Help the Developing World". AgBioForum. 2 (3&4): 155–62. ↑ Fischer, Klara (2016-07-01). "Why new crop technology is not scale-neutral—A critique of the expectations for a crop-based African Green Revolution". Research Policy. 45 (6): 1185–1194. doi:10.1016/j.respol.2016.03.007. ↑ Wedding, K. (2013). Pathways to productivity: The role of GMOs for food security in Kenya, Tanzania, and Uganda. Rowman and Littlefield. ↑ Stone, Glenn Davis; Glover, Dominic (2016-04-16). "Disembedding grain: Golden Rice, the Green Revolution, and heirloom seeds in the Philippines". Agriculture and Human Values: 1–16. doi:10.1007/s10460-016-9696-1. ISSN 0889-048X. ↑ "Genetically modified Golden Rice falls short on lifesaving promises | The Source | Washington University in St. Louis". 2016-06-02. Retrieved 2016-07-31. ↑ ’’Global Plan of Action for Animal Genetic Resources and the Interlaken Declaration.’’ Rep. Rome: Food and Agriculture Organization of the United Nations, 2007. FAO. Web. ↑ ’’Cryoconservation of Animal Genetic Resources.’ ‘Rep. Rome: Food and Agriculture Organization of the United Nations, 2012. FAO Animal Production and Health Guidelines No. 12. Print. ↑ www.gmo-compass.org. "GMO Crop Growing: Growing Around the World". www.gmo-compass.org. Retrieved 2016-07-31. ↑ www.gmo-compass.org. "Cotton - GMO Database". www.gmo-compass.org. Retrieved 2016-07-31. ↑ TeBeest, D. (2007). "Rice Blast". The Plant Health Instructor. doi:10.1094/phi-i-2007-0313-07. ↑ Shew, Aaron M.; Nalley, Lawton L.; Danforth, Diana M.; Dixon, Bruce L.; Nayga, Rodolfo M.; Delwaide, Anne-Cecile; Valent, Barbara (2016-01-01). "Are all GMOs the same? Consumer acceptance of cisgenic rice in India". Plant Biotechnology Journal. 14 (1): 4–7. doi:10.1111/pbi.12442. ISSN 1467-7652. ↑ Gerasimova, Ksenia (2015-06-11). "Debates on Genetically Modified Crops in the Context of Sustainable Development". Science and Engineering Ethics. 22 (2): 525–547. doi:10.1007/s11948-015-9656-y. ISSN 1353-3452. 1 2 Joachim von Braun; M.S. Swaminathan; Mark W. Rosegrant (2003). Agriculture, Food Security, Nutrition, and the Millennium Development Goals: Annual Report Essay. IFPRI. Retrieved 11 November 2013. ↑ De Schutter, Olivier (December 2010). "Report submitted by the Special Rapporteur on the right to food" (PDF). United Nations. pp. 1–21. Retrieved 22 October 2013. ↑ FAO (2003). "The State of Food Security in the World 2003" (PDF). FAO. Retrieved 31 October 2013. ↑ WFP. "Mission Statement". WFP. Retrieved 2 November 2013. ↑ WFP. "Food For Assets". Retrieved 26 November 2013. ↑ WFP and Republic of Kenya. "Cash/Food For Assets". Retrieved 26 November 2013. ↑ Pope Francis denounces 'global scandal' of hunger. Press release Caritas International, December 2013. ↑ Compact2025: Ending hunger and undernutrition. 2015. Project Paper. IFPRI: Washington, DC. ↑ Fan, Shenggen and Polman, Paul. 2014. An ambitious development goal: Ending hunger and undernutrition by 2025. In 2013 Global food policy report. Eds. Marble, Andrew and Fritschel, Heidi. Chapter 2. Pp 15-28. Washington, D.C.: International Food Policy Research Institute (IFPRI). ↑ FAO. 2015. Africa's Renewed Partnership to End Hunger by 2025. Accessed on 1 November 2015. ↑ USAID – Food Security Archived October 26, 2004, at the Wayback Machine. ↑ Global Food Stamps: An Idea Worth Considering, August 2011, ICTSD, Issue Paper No.36. ↑ McCullum, Christine; Desjardins, Ellen; Kraak, Vivica I.; Ladipo, Patricia; Costello, Helen (1 February 2005). "Evidence-based strategies to build community food security". Journal of the American Dietetic Association. 105 (2): 278–283. doi:10.1016/j.jada.2004.12.015. ↑ Claudio O. Delang (2006). "The role of wild food plants in poverty alleviation and biodiversity conservation in tropical countries". Progress in Development Studies. 6 (4): 275–286. doi:10.1191/1464993406ps143oa. ↑ D.C. Denkenberger and J. M. Pearce. Feeding Everyone No Matter What: Managing Food Security After Global Catastrophe, Elsevier, San Francisco, 2014. ↑ - "UniBio A/S - turns NG to fish food"
↑ Hazeltine, B. & Bull, C. 2003 Field Guide to Appropriate Technology. San Francisco: Academic Press. ↑ Langan, P.; Gnanakaran, S.; Rector, K. D.; Pawley, N.; Fox, D. T.; Chof, D. W.; Hammelg, K. E. (2011). "Exploring new strategies for cellulosic biofuels production". Energy Environ. Sci. 4: 3820–3833. doi:10.1039/c1ee01268a. ↑ Maher, TM Jr; Baum, SD (2013). "Adaptation to and recovery from global catastrophe". Sustainability. 5 (4): 1461–1479. doi:10.3390/su5041461. ↑ de Leeuw, Jan; Vrieling, Anton; Shee, Apurba; Atzberger, Clement; Hadgu, Kiros M.; Biradar, Chandrashekhar M.; Keah, Humphrey; Turvey, Calum (2014). "The Potential and Uptake of Remote Sensing in Insurance: A Review". Remote Sens. 6 (11): 10888–10912. doi:10.3390/rs61110888. ↑ "Food Security, Quality through Bees". ABC Live. ABC Live. Retrieved 7 September 2016. ↑ Wendee Nicole Pollinator Power: Nutrition Security Benefits of an Ecosystem Service Environ Health Perspect DOI:10.1289/ehp.123-A210, quote "We have spent far too long looking solely at calories as the answer to food security, and not nutrition security." Cox, P. G., S. Mak, G. C. Jahn, and S. Mot. 2001. Impact of technologies on food security and poverty alleviation in Cambodia: designing research processes. pp. 677–684 In S. Peng and B. Hardy [eds.] "Rice Research for Food Security and Poverty Alleviation." Proceeding the International Rice Research Conference, March 31, – April 3, 2000, Los Baños, Philippines: International Rice Research Institute. 692 p.
Nord, Mark. "Struggling To Feed the Family: What Does It Mean To Be Food Insecure? ".